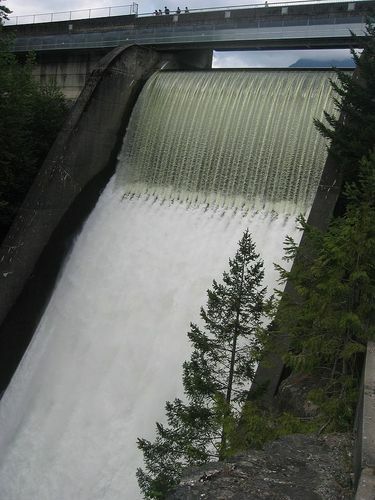 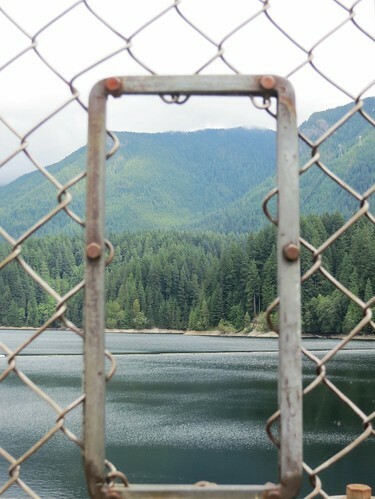 Cleveland dam is located at the south end of Capilano Lake at the head of Capilano River Regional Park. 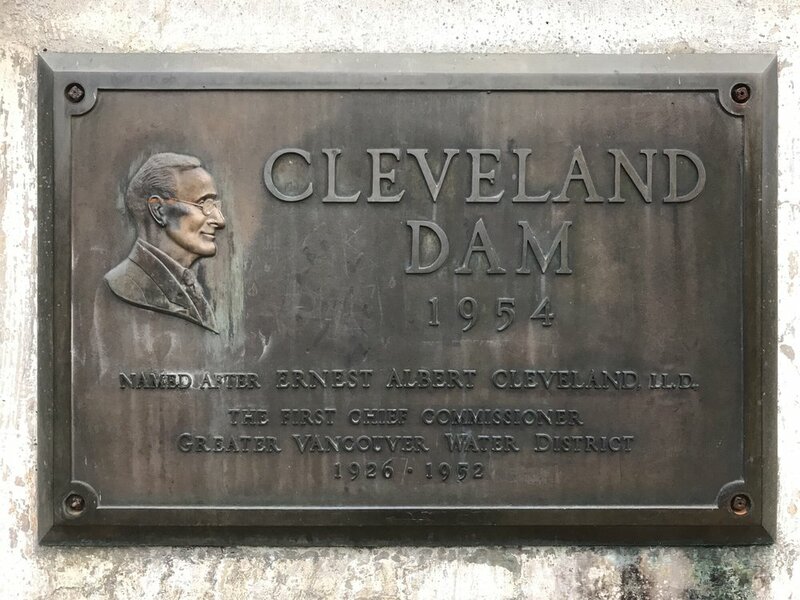 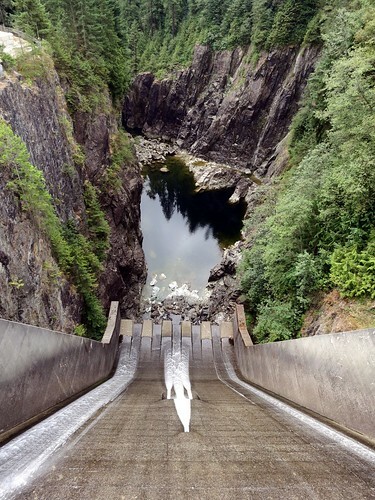 Unlike most dams in BC that were built to produce hydroelectric power, Cleveland Dam was built in 1954 to hold back the water in Capilano Lake, the source of 40 percent of Metro Vancouver's fresh drinking water. 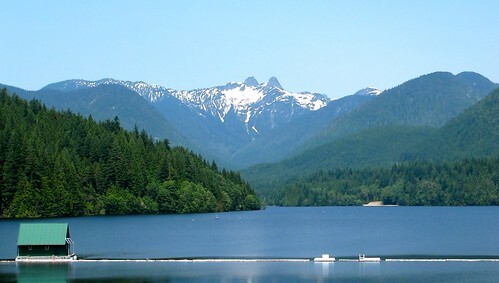 The lake collects snow melt and rainwater runoff from the surrounding mountains and holding back this water through the dry summer months provides Vancouver with a year round source of fresh water. 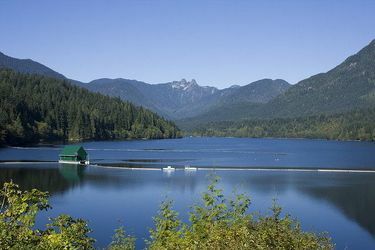 The twin mountain peaks called the 'Lions' provide a beautiful backdrop to the lake and dam. 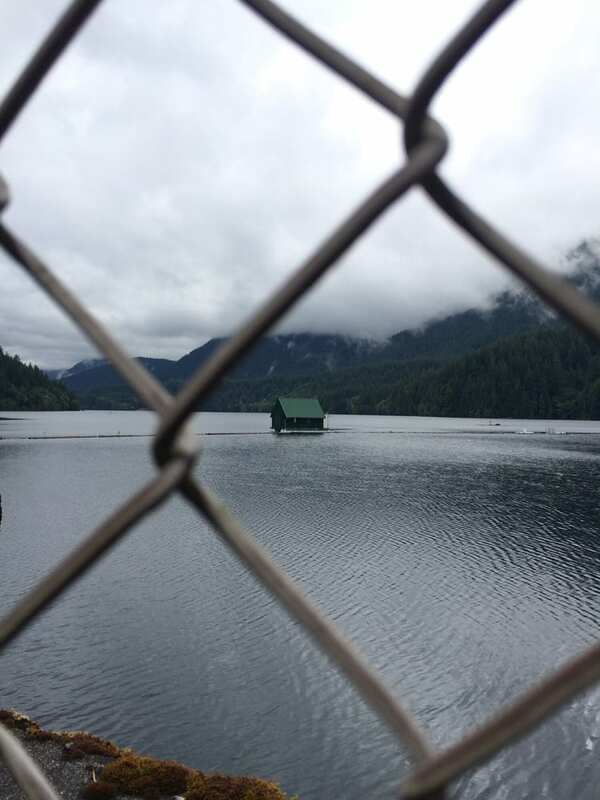 There are numerous short trails nearby that lead to various viewpoints of the dam as well as to the Capilano Fish Hatchery. 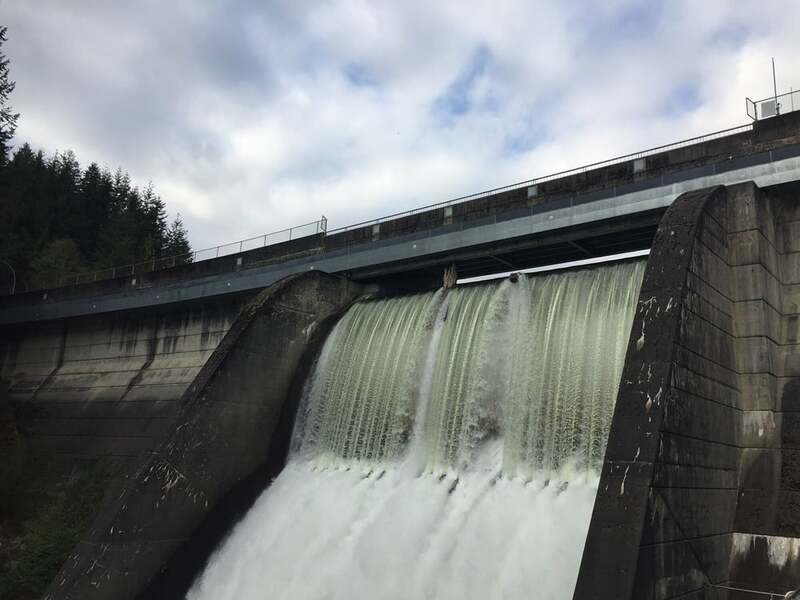 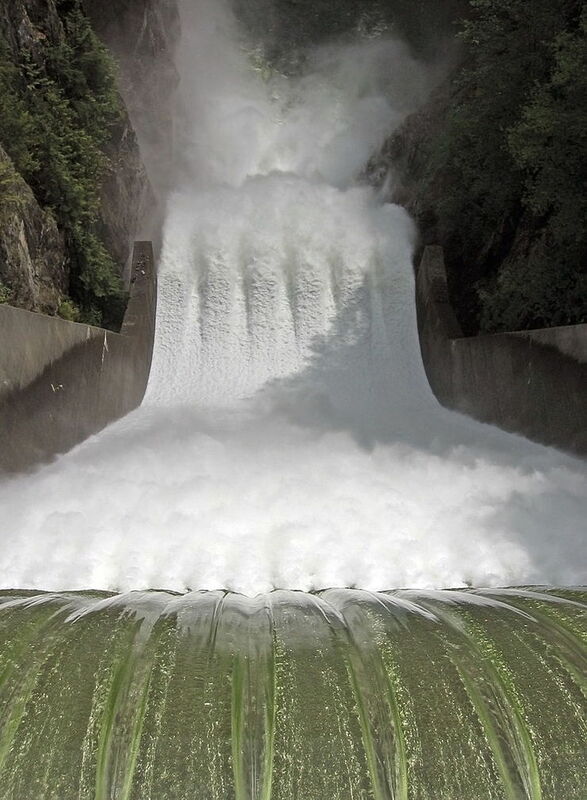 It is quite breathtaking to look over the edge of the dam during the wet season and see and hear the incredible power of the water overflowing with a thunderous roar into the Capilano River below.